A Christmas tradition that is Christ-centered, fun for the kids, AND promotes reading? 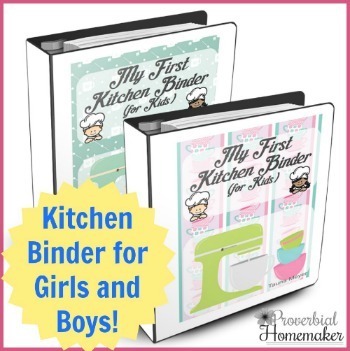 It’s like a homeschool mom’s dream come true! A Christmas book countdown is a fantastic way to create memories with your kids this holiday season. I’ve got a fun printable that combines this tradition with a Bible reading plan so you can focus on Christ AND enjoy fun read-alouds! For the book-loving family, this is a simple and meaningful activity that your kids will remember for a lifetime. Collect some Christmas books and wrap up 25 of them! Print the tags and label each gift. Every day, the kids can unwrap a book to read! Snuggle up on the couch together with your Bible and the day’s book. Read the scripture passage together and discuss, and say a prayer of thanks, praying the scripture over your children. Then have fun reading the Christmas book they unwrapped! Don’t have enough books? No problem. Here are some ideas. I hope you enjoy this Christmas book countdown and Bible reading plan! Check out more great Christmas and advent resources here. This is great! I entered to win, but pray that whomever needs it the most, gets it! If I had the blessing of winning the 500 dollars. I will definitely finish paying off my Family’s Christmas. This year we were stretched a bit thin so this would be a Amazing opportunity. Thanks for this opportunity. God Bless!! So are some! 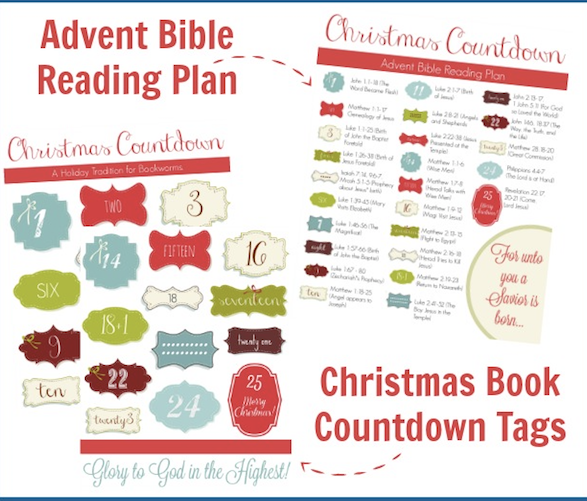 I can’t wait to Download the Christmas Book Countdown & Bible Reading Plan! Thank you for that. And thank you for the sweepstakes to try to win $500 bucks! Merry Christmas!! If I was to win the $500 it would be a tremendous blessing to my family. We are a family of soon to be 4 living off of my husband’s income. And this Christmas will be the first Christmas without my sweet mama, she unexpectedly passed away last month. So things are tight right now and it would be a blessing to win. Thanks for this opportunity! I will use the money to buy a new dryer. Wow…what a lot of work that was to get so many entries into this contest! lol. BUT WOW! 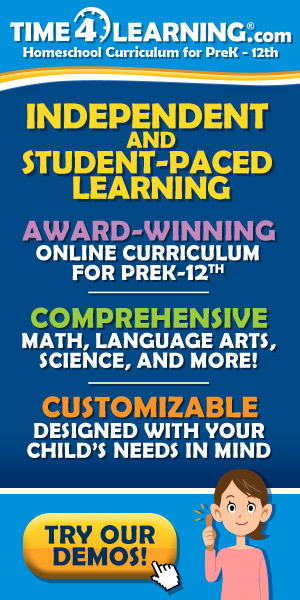 I have so many more new fun resources to check out!! I’ll be a busy mamma for sure. Thanks for throwing the contest!! Thank you so much for this opportunity, but not only that, thank you for all of the time and effort spent in creating a place for creative, inspirational ideas (and sometimes a place to vent)! It helps so much to know you’re not alone in the world, because so often it can seem as if you are. Merry Christmas!! I’m so glad it’s been a blessing Carla! 🙂 Thank you so much for being with us. It DEFINITELY helps to know we’re not alone! Thank you so much for everything that you have shared with us! Honestly, there’s a new tattoo I’ve been wanting, and it’s about $500.00. I’ve been saving up, but if I won this money, I could use what I’ve been saving and put it towards Christmas gifts for my family. I would love to win the giveaway but am not sure what I would do with the money yet! Maybe buy a kitchen appliance! I am loving all of your content, resources, and printables! 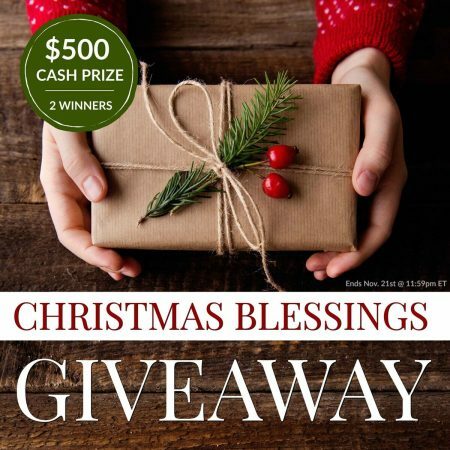 The Christmas giveaway is also such a great opportunity to connect with additional blog sites, and the $500 prize would be a HUGE blessing to pay for all our holiday expenses for this year. Thank you! $500 would help us buy gifts for our sons, pay off a debt, and give to special projects at church. My family has been displaced due to the Paradise, California fire and they believe they have lost their homes. If I won the $500, I would send the money to them. I know it is not much relative to what they have lost, but it might help a little bit, especially around the holidays. This would bless my family greatly as our income is slowed at this more weather insecure time of year. Money is incredibly tight for our family this year. For most of the year my husband has been out of work. This money would allow us to buy our kids Christmas presents and get the Christmas Feast that they are used to. It would be such a Christmas Blessing for us. Getting $500 right before Christmas would be a dream. We would use it for gifts, curriculum and to be able to do more than one child from our tree of hope through church. If I won I would put it in my daughter’s college fund. This is really cool! I love Christmas ideas and extra money would be wonderful! $500 would be a huge blessing, as we are expecting our 4th “blessing” (child) shortly after Christmas. We would probably use part of it for Christmas gifts, some to share with folks in need at our church, and maybe some for meals out once baby arrives! Hi Tuana! 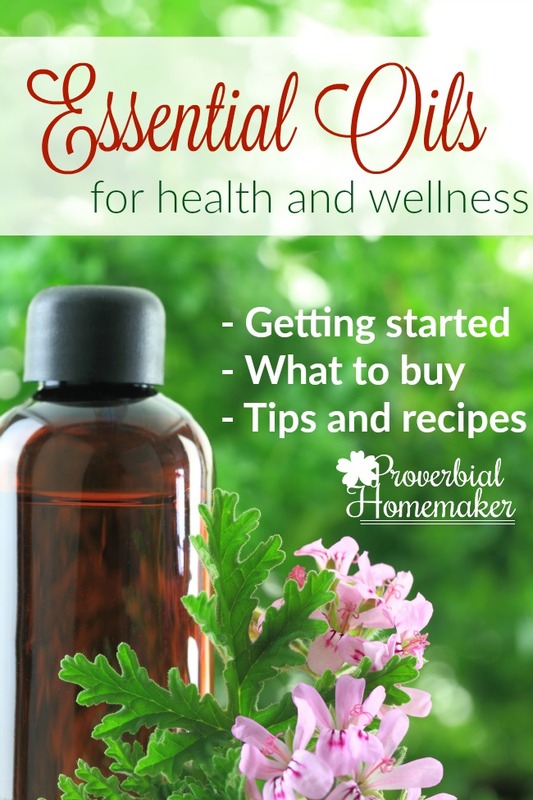 I just want to thank you so much for sharing your tips and wisdom on organizing homeschool and homemaking life. I was able to catch one of your sessions on loop scheduling in the online conference this past summer and It’s been a real game changer in my home this year. Honestly, I felt like I was just trudging along through homeschooling these past couple years and then, to top it off, we welcomed our 5th baby to the bunch in July. There were days before starting school this year that I just cried because I had know idea how it was all supposed to work with a newborn. Anyway, with the the help of your encouragement and tips, it’s been a year of break through for me. I’m still trying to tailor this “loop idea” to our specific needs, but it’s a beautiful thing to finally have a strategy in place that makes sense for my brain. So, Anyway, thank you for taking the time, out of your busy life, to share and encourage other moms like me. We’ve had so many unexpected emergencies this year so our Christmas fund is non existent. I would use this for making my boys’ and friends’ Christmas a little brighter. I would like to use it to purchase gifts, food, and winter clothing for a family in need. My daughter is a school teacher, and she has a student in her class with 2 siblings and they are being raised by their grandmother. I would like to help them. I love reading! The free giveaway of money would be helpful too, but the list of Christmas Book Countdown is what brought me to this page. Thnak you! With an extra $500 I would buy something special for the family and use the rest to help with holiday food. I’d like to use part of it to give others in anonymous ways. Some I’d probably save back. Thanks for this fun opportunity to not only win a prize, but be introduced to some new resources! I’d love to be blessed with this so that we may bless others this holiday season. If I won the $500, I would use it to give to a local charity. Thank you for offering this awesome give away! It would be such a blessing to my family, my husband recently started his own business and $500 would be a God send by helping to provide Christmas presents for our 5 children. If I was blessed with $500 I would give to further the gospel and buy some more plexus supplements to share with my family and friends who need them because they have been life changing for me and I wanna help others. Love this idea! Thank you for the printable. That money would certainly bless us and we would use some of it to bless my parents this holiday season! We would use the cash to buy a large bookcase for our homeschool, therapy tools/toys for our daughter, and pool passes for our family! Thank you for chance to dream a bit about such a generous cash prize! It would help with Christmas expenses, if I were to win! We are planning a home birth at the end of January, and $500 would help greatly with costs! i would pay off bills with it.